We interviewed dozens of parents on their concerns about their children. For advice on what to do, we interviewed one of the wisest experts on type in children, Elizabeth Murphy, author of The Developing Child. Unlike the advice you get from other child rearing experts, Murphy gives different advice for different types of children, and allows you to talk to your children in language they understand. If you're raising children, you'll want to read this series many times throughout the years. 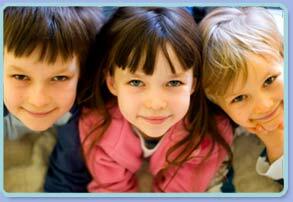 "Parents of Perceiving children have to realize that the stress in last-minute preparations is theirs, not the child's. The Perceiving child is usually enjoying the crisis, because it gives him a chance to exercise his ability to think of alternative ways to accomplish things when the expected way does not work."